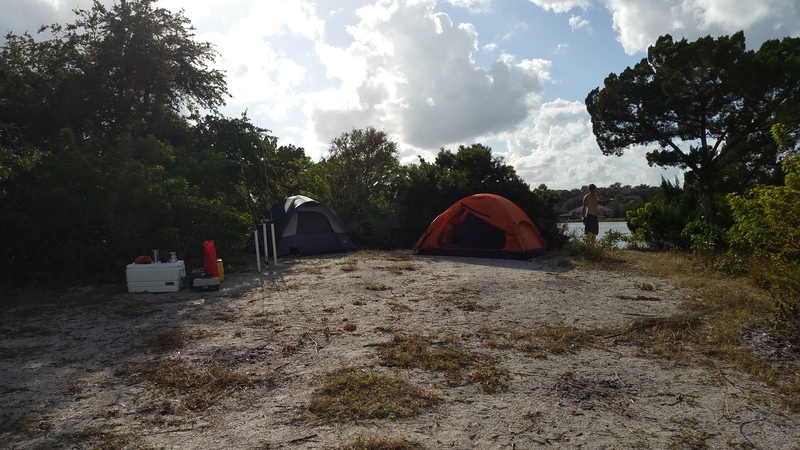 Camping on the east coast of the intra coastal in Central Florida is a lot of fun. You can camp for free at different islands on the intra coastal. It is easy to get to them whether you have a boat or a kayak. There are plenty of rental places for both. There are places called spoil islands and some you have to pay a fee at. I believe it is $15 per night. The camp sites are kept up by the state. There are numbers on the islands and you find the number of the island you want and pay the state. It is a great time. I have pictures on here of when I went out the other day (11-16 to 11-17). This island isn’t an island you have to pay for. It is first come, first serve. During the week there are hardly anyone ever on the islands camping. You camp right on the water. It is breezy over on the coast in the winter time. I camped here in November and the daytime temperature was mid 80s and at night it was low 70s. Winds were about 15 MPH which are pretty fast. It is hard to fish in that wind and also a bumpy boat ride because of the waves. This is the 2nd time I have camped on the intra coastal and I hope to camp many more times. 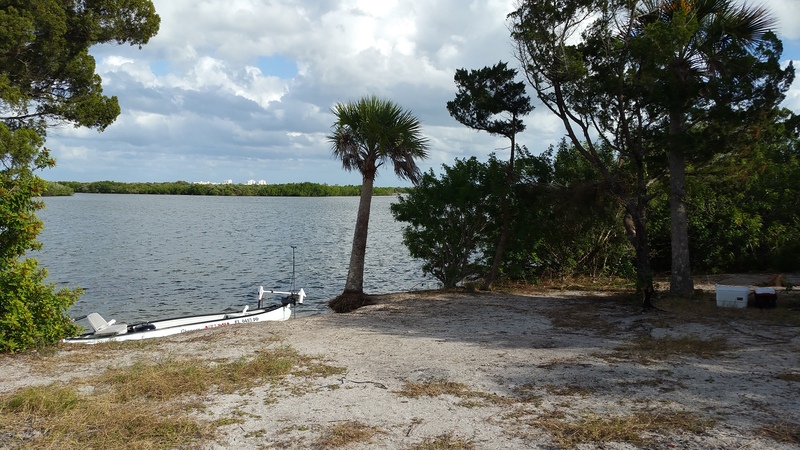 If you live in Florida or visit and have a boat or a kayak I would say give it a try. Make sure you bring plenty of water and sunscreen. You can always have too much water but if you run out you are in trouble. Now I leave you with a nice intra coastal sunrise…. Here in Florida you have to have a Snook stamp in addition to your saltwater fishing license. It is a $10 charge for a year for a Snook stamp. A year is from the date you purchased it till that date the following year. It isn’t for the time of the open season. You can catch snook without a stamp but you can’t keep them. 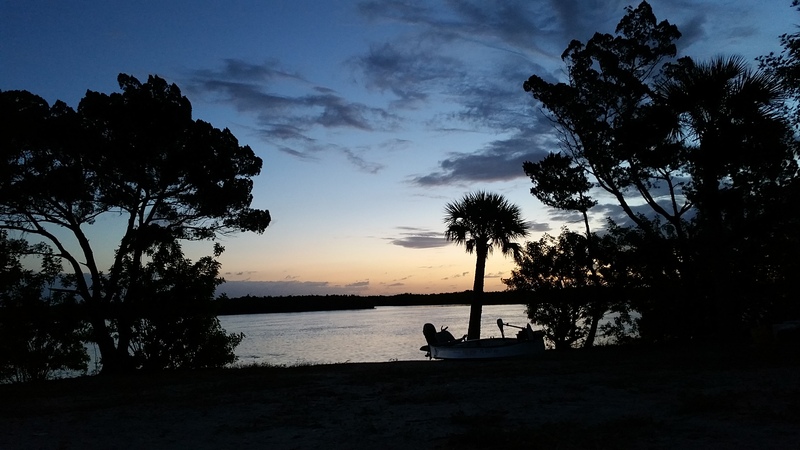 A Florida saltwater fishing license is around $17.